Take your look from day to drinks with this knit dress. 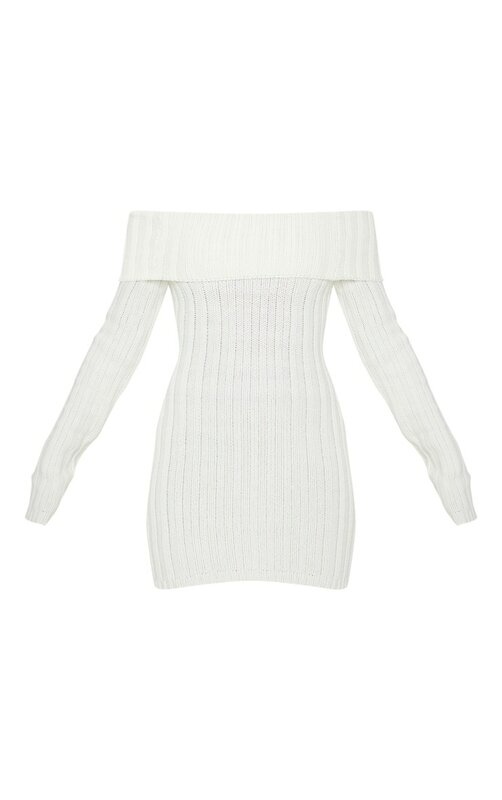 Featuring a cream knit material with a bardot neckline and long sleeves. Team this with heeled boots and a small bag to complete the look.